Behind this book, but never quite stated, is the strong hunch that, insofar as preaching is learned more by imitation than by direct instruction, Calvin the expository preacher basically learned to preach in Basel. More specifically, one can argue — in part from silence, more likely by process of elimination, and most convincingly by virtue of the Reformation Ordinance of 1529 being in effect in Basel for six years when Calvin was there writing his first edition of the Institutes — that it was from the pulpits of Basel Calvin heard the preaching that would form him, that he would come to imitate, and of which he would become the premiere practitioner. Put another way: where else in all his travels in cognito after the disastrous sermon he wrote for Nicholas Cop (which Karl Barth says is obviously Calvin's and which attempts and fails, like many a student sermon, to say everything all at once), did he hear regular expository preaching sufficient to form him as a preacher? As I see it, that is the missing link in all the biographies of Calvin, and I've lost count of how many there are. Meanwhile, if we study (from the other end) the rise of Oecolampadius and the reformation of preaching in Basel that he represents; i.e., that he modeled and practiced, and that Basel eventually prescribed, we can likewise make the case that, despite the gradual pace of the progress of Basel's reforms and the variety of approaches to preaching Oecolampadius used in the eight years between 1523 and his death in 1531, the model for the expository preaching that Calvin heard in Basel, almost regardless of where he worshipped from Sunday to Sunday, was that of Oecolampadius and (at its root) this very sermon series, the first complete biblical exposition to survive from the Swiss Reformation. The hypothesis (or hunch) in a nutshell: By a providential and inspired trail of influence, the spark of simple exposition leaped from the 4th c. preacher John Chrysostom to his translator Oecolampadius, igniting the "house lamp" of the Reformation; through him it spread to the ministers of Basel, caught hold of Calvin by way of their preaching, and through Calvin it reached the world. This hypothesis is admittedly simplistic and in some respects all too "linear," for it makes no mention of Zwingli, Capito, Bucer, Farel, et al., but it (at very least) recognizes and states the obvious point that few Calvin devotees care to admit: that Calvin did not invent or adopt his approach ex nihilo or even from the mere advice of certain other reformers; it also fills most plausibly the influence gap, the yawning silence of the first Basel period, acknowledging the company of preachers (Myconius, Karlstadt, Wissenberg, et al.) through whose sermons the Spirit most likely formed Calvin as a preacher, those who shared and modeled for him the calling to teach the Scriptures from the pulpit clearly, methodically, comprehensively. I also recognize that many members of this company were also newly arrived when Calvin came, many perhaps did not hear Oecolampadius himself in the pulpit, but they came committed to the program of biblical exposition that he, more than any other individual, (re)established. 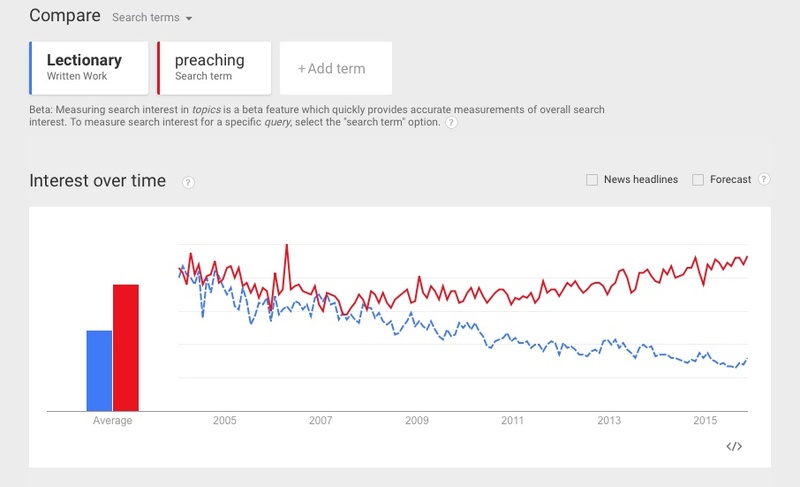 To preach and teach the Scriptures comprehensively. That, in many ways, is all that Year D aspires to do. 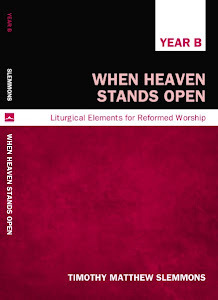 At a minimum, I hope the sermons of the Reformer of Basel can now help preachers when the lectionary, or when Year D, turns to 1John, the epistle of which I think, at this juncture in history, the church stands in greatest need. Better still, I hope preachers will take up the task of preaching through the letter faithfully and thoroughly, verse-by-verse. Perhaps some pastors and educators will see in these sermons a worthwhile (adult or young adult) Bible study that can fill half a program year, or a new member program that, along the lines of Alpha, lays out a course in basic Christianity. No doubt something like this is what Oecolampadius had in mind when he offered the fruit of his labor to a young Christian and described it as "a handbook for the Christian life." Perhaps some hearty souls will see in this nightly Advent series a rich devotional their congregations can enjoy this December. However they are used, whoever reads them, and wherever they now make they way in the world, may Oecolampadius' Sermons on the First Epistle of John once again — as they did nearly 500 years ago — serve to strengthen and confirm readers in their faith in Christ, breathe new life into the church, and, above all, give glory to God. 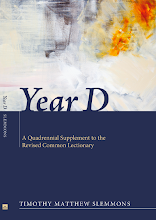 The reader of The Year D Project website — there is likely good reason to use the singular — may wonder at the long period of recent inactivity since the last post in February. That post announced the publication (with corrections) of a short biography of Oecolampadius, which itself promised the forthcoming translation of the Reformer's sermon series on the First Epistle of John (from Advent 1523). I left the website parked at that juncture, at the risk of being towed, in order to focus on fulfilling that promise. With everyone casting about for a fresh angle on the Reformation, the 500th anniversary of which will be widely observed next month, by the grace of God, this is my take. If anyone can find a better one, I would like to know whose it is and what it is. Meanwhile, here is the write-up from the back cover. "Perhaps the most consequential series on 1John ever preached and one of the earliest examples of a complete expository series from the Swiss Reformation, these sermons mark Oecolampadius’ arrival as the leading voice of the evangelical movement in Basel. As Ernst Staehelin noted, here in the 1John series the Reformer “for the first time organizes the reformatory message in a comprehensive manner.” Preached over the course of twenty-one consecutive evenings in Basel’s St. Martin’s Church in December of 1523, this popular Advent series ran through six print editions in two years. More than any single series, it set the standard for Basel’s program of lectio continua preaching which, with allowance made for the main feasts of the Christian year, became the norm for the Sunday service as well. In these sermons, modeled after the Reformer’s important translations of Chrysostom and delivered concurrently with his famous lectures on Isaiah, he explains the pressing doctrines the congregation asked him to address: Are we indeed justified by faith, and if so, then what is the role of works in the Christian life? In response, Oecolampadius provides, among other things, a biblically rich and theologically lucid Johannine complement to Luther’s labors on the Pauline doctrine of justification and a strong claim, ringing even in the final sentence, that the presence of Christ issues in works of love. Anyone seeking a fresh perspective on the preaching of the Reformation, an understanding of the chief homiletical corrective of the age, a clear articulation of basic Christian doctrine and the ordo salutis, or even (in the words of the Reformer himself) “an enchiridion for the Christian life,” will find fresh and ample inspiration in this vital but forgotten classic which, after 500 years, appears here in English for the first time." I first published my translation of this short 19th c. biography of John Oecolampadius last June. After finding several typos, it has now been reissued with corrections.